Prepare your parties and events with ease. 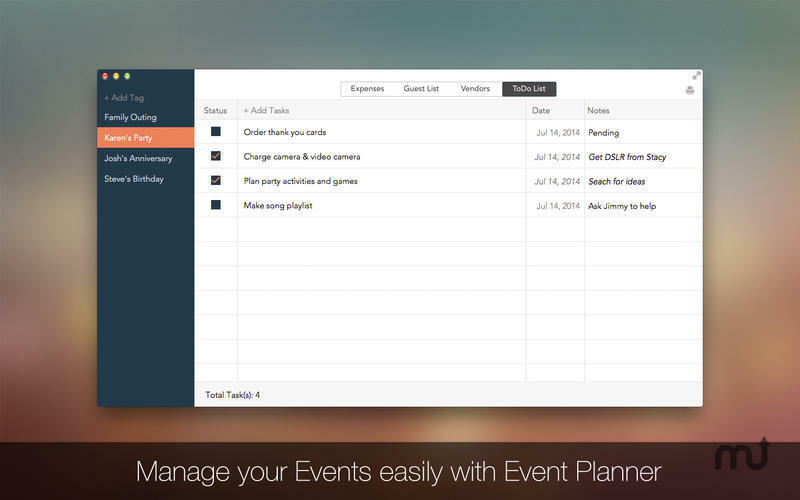 Is there a better alternative to Event Planner? 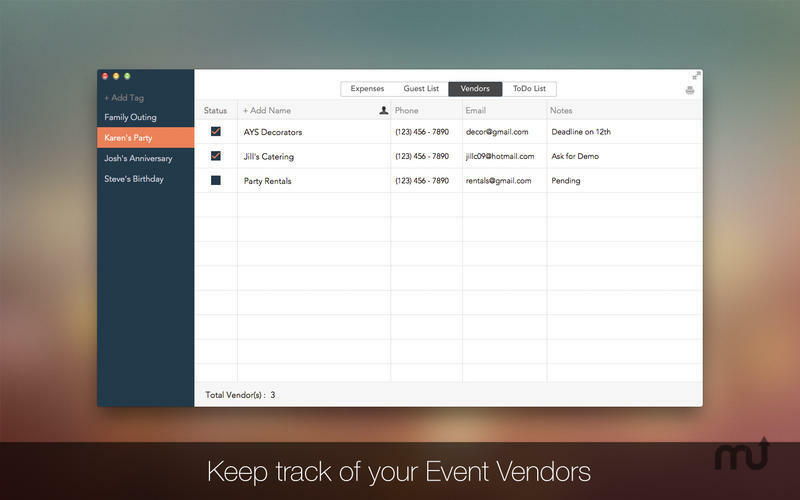 Is Event Planner really the best app in Personal Info Managers category? Will Event Planner work good on macOS 10.13.4? 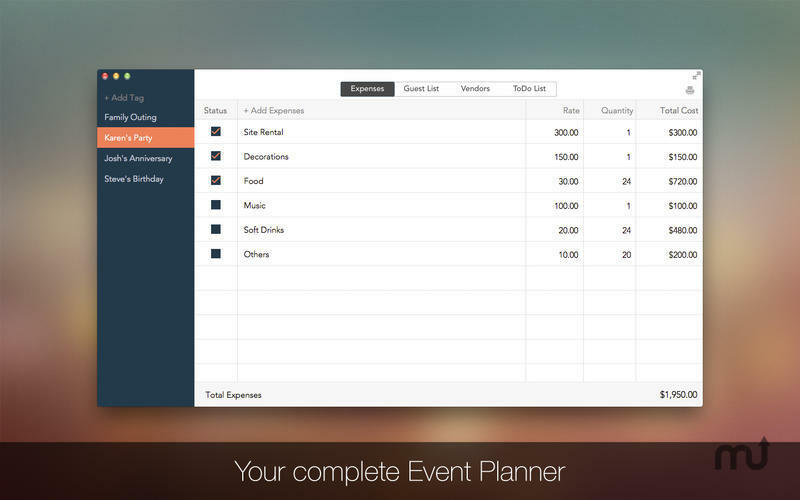 Event Planner is an easy to use planner that takes care of everything you need. You can plan your expenses, manage guest list and keep a track of all the facility providers or vendors. The intuitive design of the app makes it very convenient for you to use the app. Event Planner needs a rating. Be the first to rate this app and get the discussion started! Event Planner is Ideal for couples planning their weddings, parents planning kids birthday and graduation parties, and sons and daughters planning retirement parties for their parents and many more. Event Planner will help you prepare your parties and events with ease. 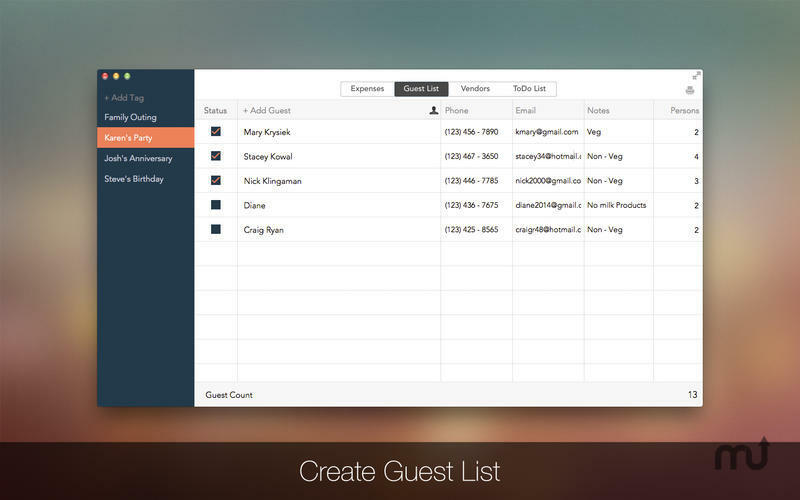 You can easily record all the activities, including your expenses, guest contacts etc. Store your ideas in to-do list builder and mark them as completed as you accomplish them.